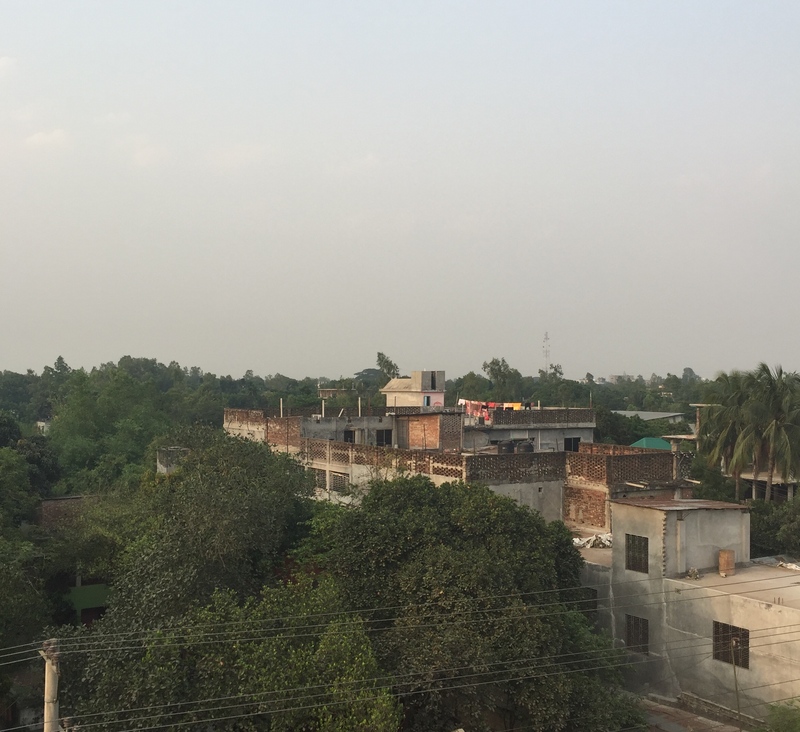 This is the first blog in a series of four in which I document my research in Dhaka and the Sirajganj district of Bangladesh. My work was facilitated by Lepra, but all views expressed are my own. 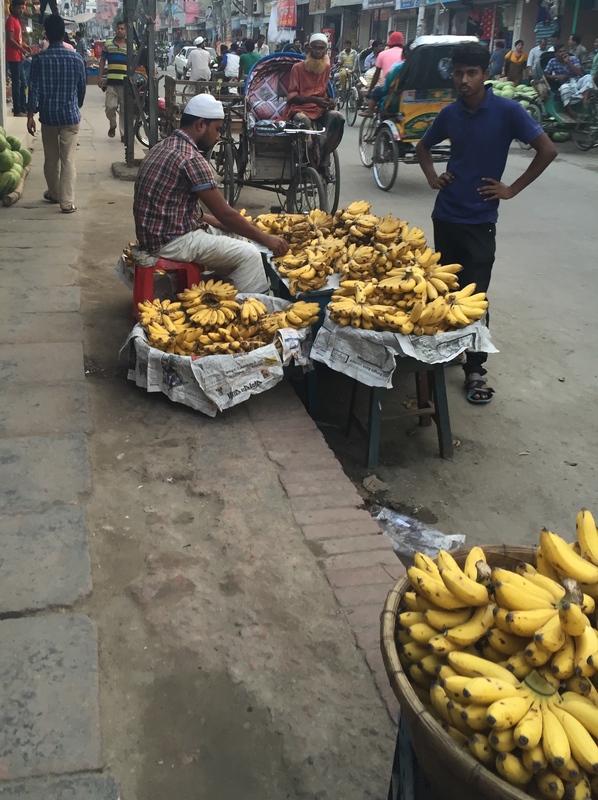 My trip to Bangladesh is not my first trip to Asia, nor is it my first long-haul flight. 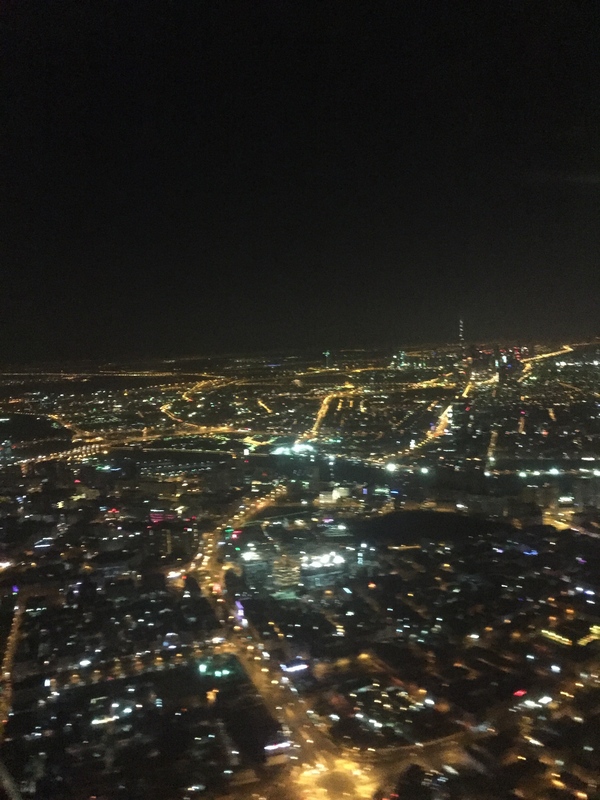 It was, however, the first time that I’d flown into Dubai. Arriving in the early hours the capital glowed bright like a throbbing motherboard that never blows. But I was glad it was only a stopover, for all the actual capital this hub holds to many, including some of my university friends who have relocated there for financial and commercial jobs, the glowing chequers and social workings have never much attracted me. Admittedly, Bangladesh is not somewhere that previously featured on my wanderlust list, perhaps because tourism is less of an industry than a novelty there and my current travelling capacity is less casual holidayer, more researcher. That, in itself, has taken some getting used to. Since Lepra, whom I first encountered as editor for a joint commission with Polygeia, expressed willingness to facilitate my Masters research at one of their in-country offices, very little about my pre-trip preparation smacked of my usual ‘YES, I’m escaping’ planning. Some things remained the same – nighttime page turning of guidebooks peppered with leprosy guidelines (OK, not so typical) and learning some basic phrases. What differed was the process. Bangladesh is not set up for foreign pit-stops: my visa application process was a vexed endeavour best summarized as: three days lapsing over a fortnight, five trips, a punctured bike tyre, a misplaced Passport, relocated Passport with visa pass and pained expressions from housemates disinterested in the lengthy drama. 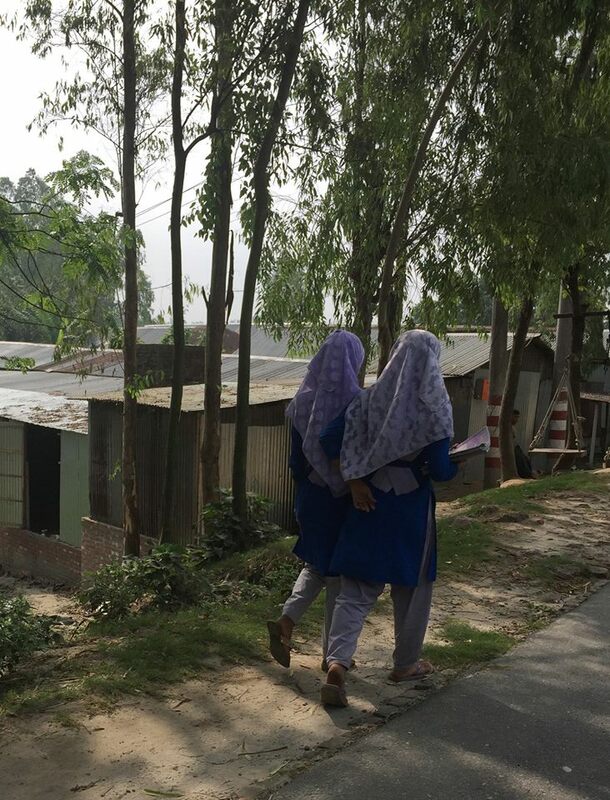 In all honesty, if I was not so impassioned by my project working on the prevalence of psychological distress amongst persons with leprosy in the Sirajganj district, I would have put down the bike pump, thrown the espadrilles to the back of the cupboard for another year and considered it a learning experience. What regret would have been borne from such a decision. I can now say, as a survivor of said bureaucratic nightmare and inefficiency mountain, that Bangladesh is a riot of colour. 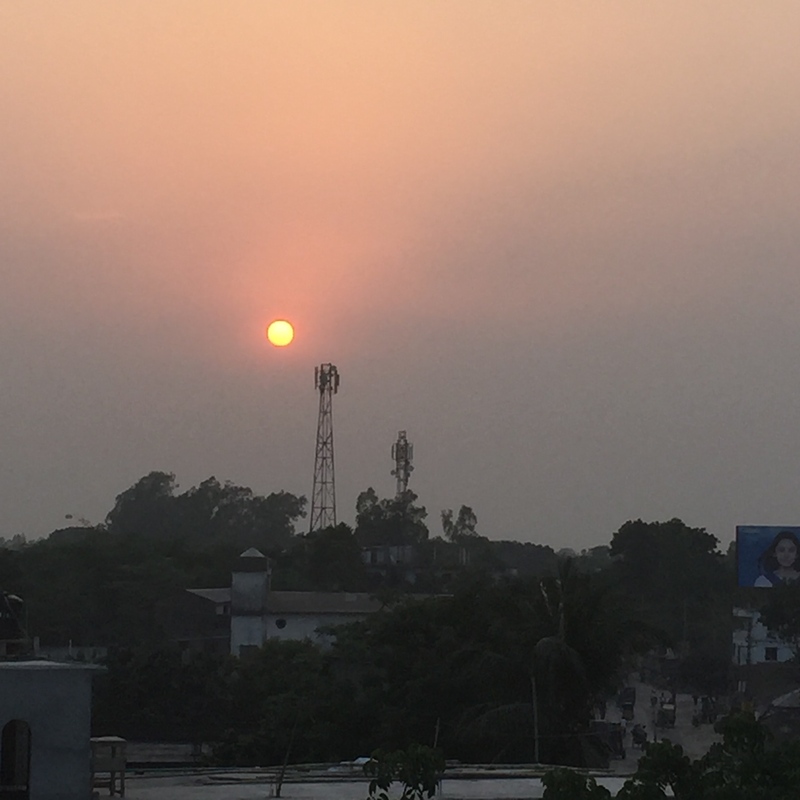 The concrete heat trap of the roof terrace at the Sirajganj Lepra office which became home proved the best spot to watch sunsets comparable to split peaches laced with loose cream. Our own lengthwise hung washing line and those that crowned many other rooftops flapped clothes and fabrics in cyan, ochre and every shade in between to that crisp dryness only achieved in dry bone air. 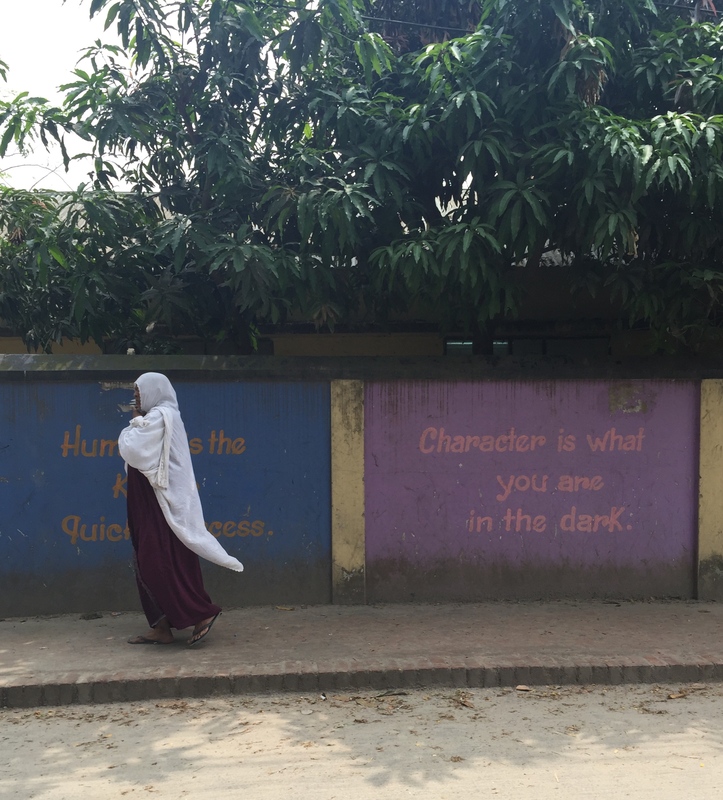 For a part of the world that sees life through a throbbing vibrancy in food, clothes and landscape, it is telling that ‘character is what you are in the dark’ is the motto painted on a mural outside the government school in the district. Much of my time in Bangladesh has necessitated a navigation of new cultures and attitudes. In particular, the opportunity to meet participants and engage with them through in-depth interviews, sometimes meeting them on at least one further occasion, I have been afforded an insight into the generosity of this population. While Sirajganj is one of the less socioeconomically privileged districts of Bangladesh, absolute poverty is scarce, but living hand to mouth is a real truth. Notwithstanding, throughout my stay, everyone I met invited me to look beyond their bright adornments, clothes and the spectacle of richly coloured life that is simply their cultural touchstone. People who were all but strangers offered me their all – from prayers, their sole assets such as handicrafts and openly welcomed me into their homes for refreshment. Beyond the sugar-crusted jewels of sweets and droplet bananas strung from every street stall, I encountered a generosity of spirit that was all too overwhelming by comparison to the insular London life which I have come to lead, constantly seeking to escape a drive for materialism, and richness in outer accoutrements and possessions. Materialism and its damaging conveyor belt of consumerism is an overwrought modern world burden, but even the most frugal or fashionably termed ‘minimalist’ of dwellers in London pales in comparison to the simplicity of want – and the integrity of character – that persists here. 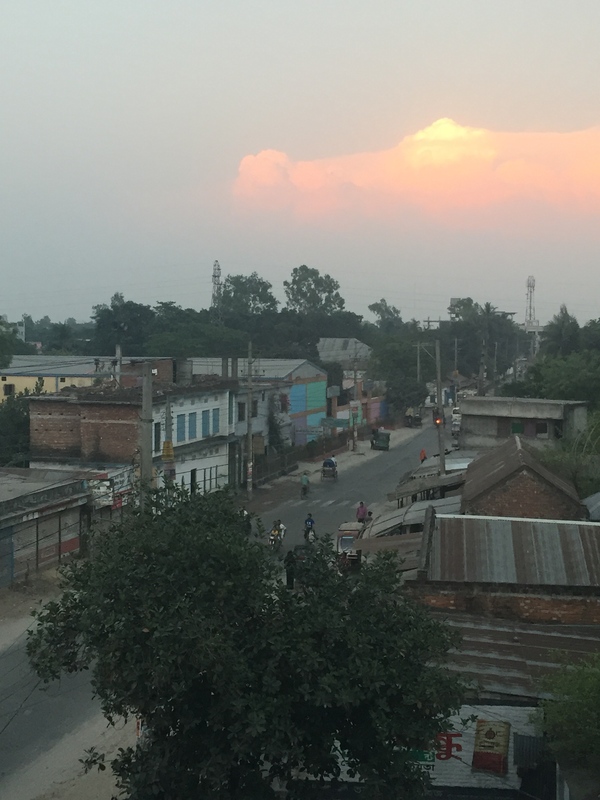 Context (environment, purpose and empirical knowledge pathways) aside, life in Sirajganj is, according to the stories related by the Lepra staff and evidenced in my research interviews, about just that – existing – with joy. The basic human needs of shelter, food, and potable water are matched with an endemic prioritisation of an extended family network. Education and self-instruction through academia and apprenticeships are welcome extras. What might be considered aspirational goods in the United Kingdom, such as branded clothing or socially recognised status items are certainly still present here, but their value is somehow self-limiting. The persistence here of what might be considered ‘clean-living’ to a UK audience in itself prevents such objects from being tainted with the perception of a Midas touch. Idolatry of assets is both alien and actively resisted. Instead, riches are frequently figured in terms of religion, family sanctity, and personal wholeness. Of course, by the same token, these are shrewd businesspeople. During a focus group discussion facilitated by UK Aid, a gift of a beaded handbag as part of a seed money project (accepted only following an expressed desire on my part to act as purchasing customer) was caveated with the entreaty to showcase their wares upon my return to England. Trade and export – particularly of commodities of the external – the ‘IT’ bags, the designer fashion, the jeweled merchandise has long been a truism of the Bangladeshi-British connection. Yet are they selling the same goods in the same manner to themselves? No. Largely, the discourse is different. Surely, the ethos behind online shopping mecca ASOS, that is ‘as soon on screen’ exists here – emulation is, after all, one of the greatest forms of flattery precisely because it is so pervasive, but it is not overwhelming, nor is it prioritised over the pillars of social ‘want’ here – familial and spiritual happiness. What is also true is that this part of the world is noisy – deafeningly so. Tuktuk, bus, delivery truck and advertising vehicle create their own electrophonic mating calls, matched only by the eclecticism of colour and variety of terrain. Over the Bangladeshi New Year, I was locked away in a deserted office and for the first time made room to metaphorically shut my eyes, block my ears, and still feel an extraordinary warmth – possibly something to do with the record-breaking 45 degree heatwave this area is currently experiencing, but you follow my gist . Even when the outward sensory bombardment one experiences coming afresh to this country is muted, there is a wholesomeness amongst this society and their way of life that brings greater contentment and stillness than one might expect when knee deep in visa applications or racing through a dusted researcher commute to who knows what hidden stories. A wonderfully vibrant account, with some beautiful descriptive passages evoking the essence of the place.